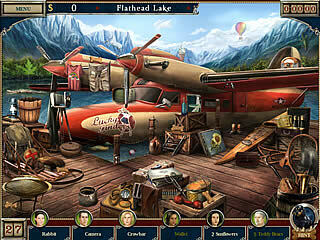 Antique Road Trip 2: Homecoming is a sequel of the hidden object game where you go to different places in search of different antiques and curios. The game is a real place of rest from all the mysterious stories that you usually come across in this genre. No creepy horror here. Not only they give you a break from the hidden object searches, but also occasional customers, that you need to deal with. 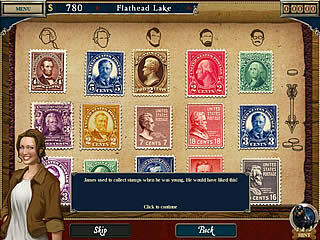 The game follows the story of a couple that is after the antiques. So there isn't that much of a story. You travel with them searching for the items that can fill your new store and make it one of the best antique stores. As mentioned before, the game is not a typical to the genre. You don't end up in a place where you would never want to find yourself in reality. The friendly atmosphere is evident in all the levels. There are two modes of the game - timed and untimed. But even the timed one is counts the time up and awards you bonuses for accomplishing the levels fast. The gameplay boils down to the good old hidden object searches. Those are the main focus here, but there are also different small puzzles every once in a while. Those are not something new, but they are still fun to play for a change. Not only they give you a break from the hidden object searches, but also occasional customers, that you need to deal with. All the money that you make go to the upgrading of your store. Another fun side activity in this game a wardrobe that you unlock for the puppy that helps you all along. The friendliness of the game is a bit overwhelming as you go. The money that you earn are so much that you might not even be able to spend all of that on upgrades and antiques. Antique Road Trip 2: Homecoming is a nice peaceful beautifully drawn game for the Easter time. This is Antique Road Trip 2: Homecoming for Mac review. Download this game here.